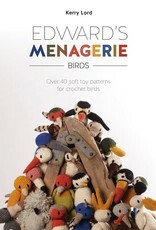 Edward's Menagerie Birds Over 40 Soft Toy Patterns for Crochet Birds By Kerry Lord This eagerly awaited book is the follow up to the smash hit Edward's Menagerie, which has sold over 30,000 copies to date and has been translated into 5 languages. 40 unique and easy-to-follow patterns for the most diverse range of crochet birds ever published – all presented in Kerry Lord’s witty style: from Elvis the cockatoo with a karaoke addiction, to Dora the narcoleptic Wood Pigeon. Simply change the gauge of yarn and size of hook to create four different sizes with the same pattern – giving you a total of 160 different toys to make. 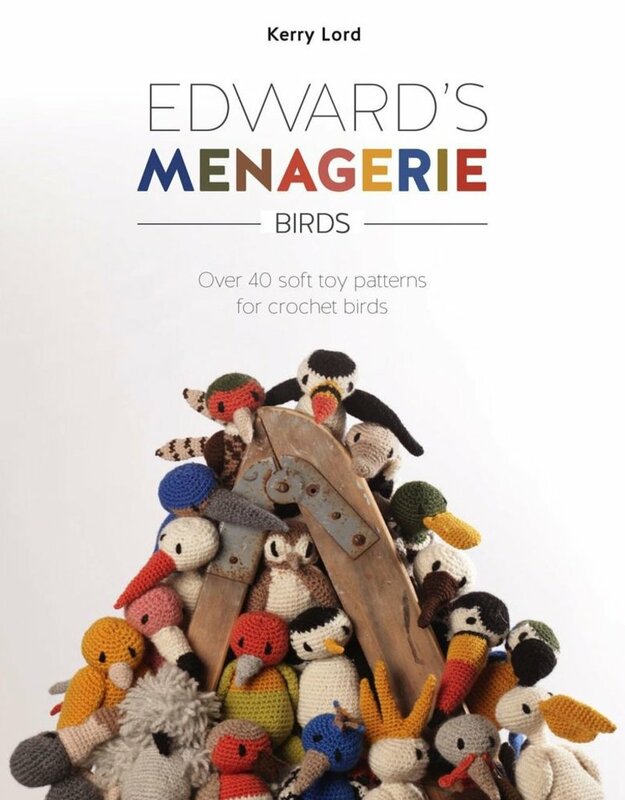 Whether you're looking to crochet a duck for your sweetest niece, a peacock for your favorite teacher or a blue footed booby for a special someone, then Edward's Menagerie Birds contains the perfect pattern to get you hooked. Once you’ve made one you’ll want to stitch the whole flock!